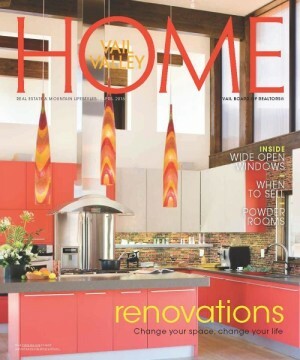 Every year Vail Valley Home Magazine publishes an exciting renovations issue. The April 2016 edition includes a feature detailing the substantial remodel of a Shaeffer Hyde home situated on the banks of Gore Creek. The magazine’s Associate Editor Stephen Lloyd Wood interviewed Shaeffer Hyde Project Manager, Travis Cremonese for first-hand insight into a renovation venture. In addition to the article, the magazine conducted a Q & A with SHC President, David Hyde, and Director of Operations, Rob Fawcett.